Don reflects on a number of recent news items and reminds readers of some key dates in September. PW’s monthly roundup of news from the UK and internationally, including new products, club news and recent events. Gwyn Griffiths G3ZIL describes the construction and use of three simple modules that, together, may reduce your HF band noise. Colin Redwood G6MXL invites readers to participate in the PW 70MHz Contest. 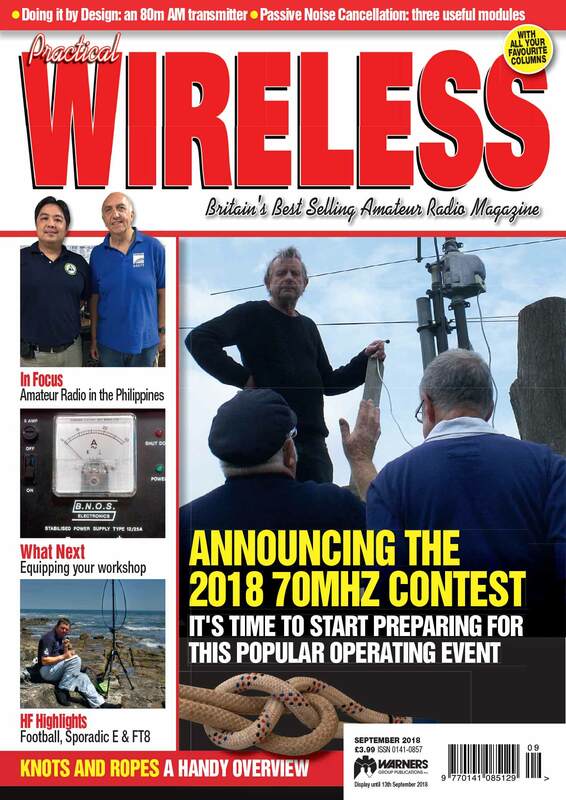 Don G3XTT visits the Philippines and wonders whether some of the initiatives being taken elsewhere in the world have lessons for amateur radio in the UK. 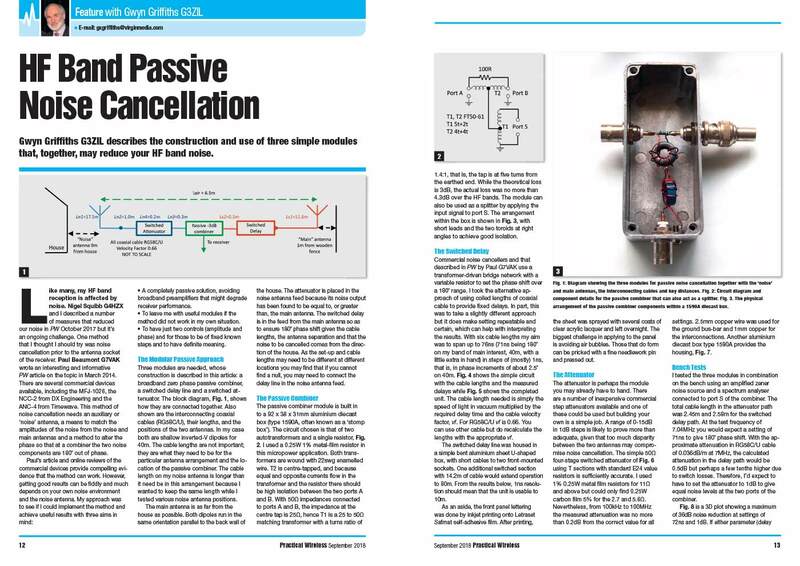 Steve Telenius-Lowe PJ4DX resurrects an antenna design that first saw the light of day almost 30 years ago but seems to have been largely forgotten since. 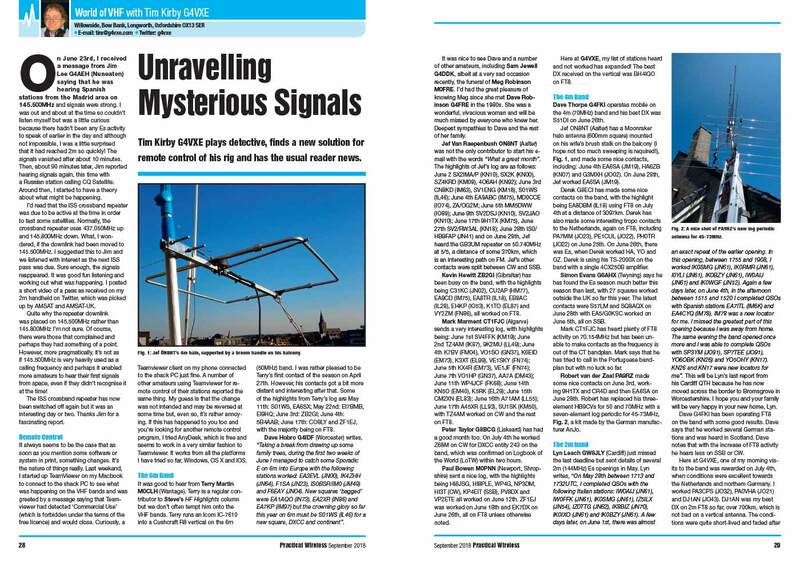 Tim Kirby G4VXE plays detective, finds a new solution for remote control of his rig and has the usual reader news. Steve Telenius-Lowe PJ4DX reports on a heady combination of special event station activity, summer propagation and plenty of interest in FT8. 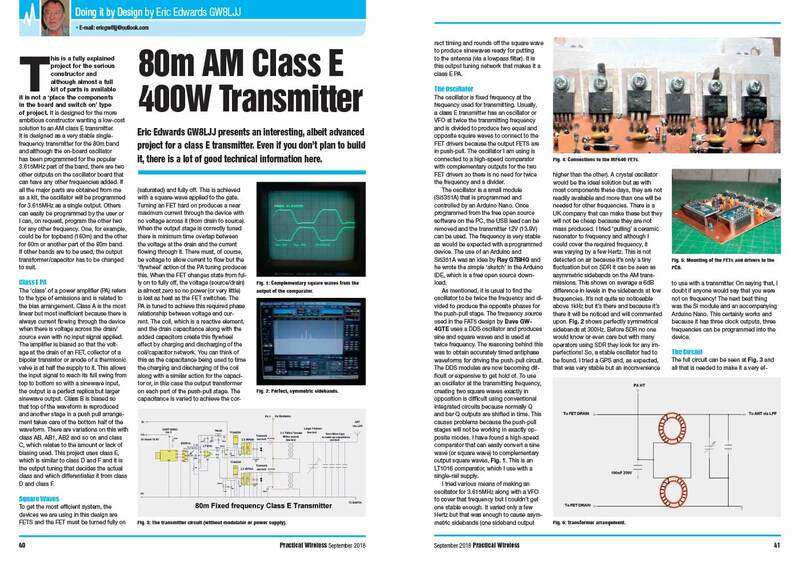 Eric Edwards GW8LJJ presents an interesting, albeit advanced project for a class E transmitter. Even if you don’t plan to build it, there is a lot of good technical information here. Gary Andrews M0CWY builds a simple Morse keyer while Chris Brown G4CLB creates a safe mobile headset for his Wouxun transceiver. 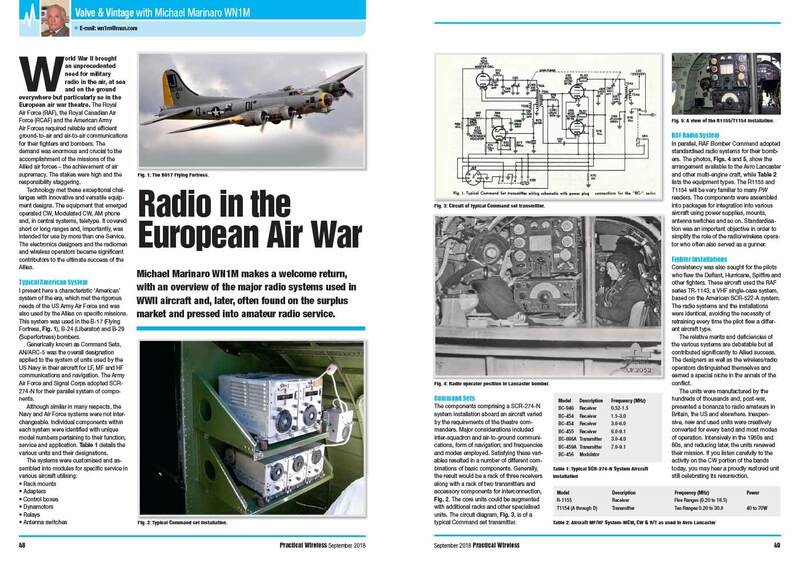 Michael Marinaro WN1M has an overview of the major radio systems used in WWII aircraft and, later, often found on the surplus market and pressed into amateur radio service. To complement last month’s look at second-hand transceivers, Colin Redwood G6MXL looks at how you can start to equip your workshop from second-hand sources. Tom Morgan ZS1AFS/ZT1T brings his sailing experience to bear, explaining the twists and turns of using knots and ropes in your antenna installations. Steve White G3ZVW looks at what the HF bands can be expected to be like this autumn. Mike Richards G4WNC continues his explanation of how to run data modes software on any one of three popular single board computers. Lee Aldridge G4EJB builds some basic test equipment for his receivers and in readiness for his first transmitter. Geoff Theasby G8BMI builds a switch-mode power supply and metering, all for £15. 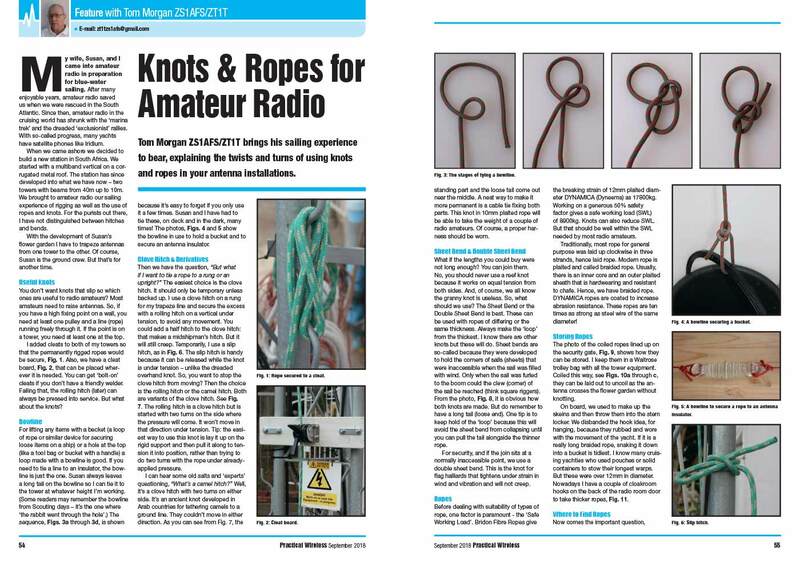 Network Radio features strongly in this month’s letters, along with SDR, starter gear and operating from a cruise ship.